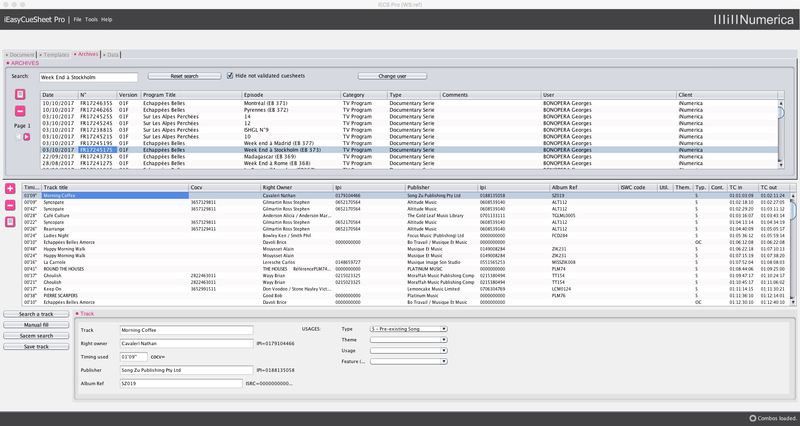 iNumerica iEasyCueSheet Pro™ Publisher Edition is a software for declaring the works used in the creation of an audiovisual program. Using the program, the publisher can access information on the works declared by the audiovisual production company. 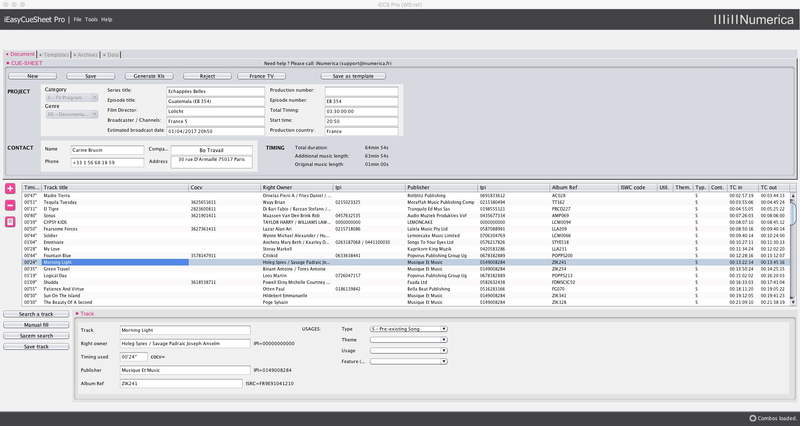 Give your users the chance to create cue sheets in just a few clicks and keep track of all generated cue sheets. iEasyCueSheet Pro is launched from a simple link on your website for availability to your users. Generates declaration forms required by performing rights societies. 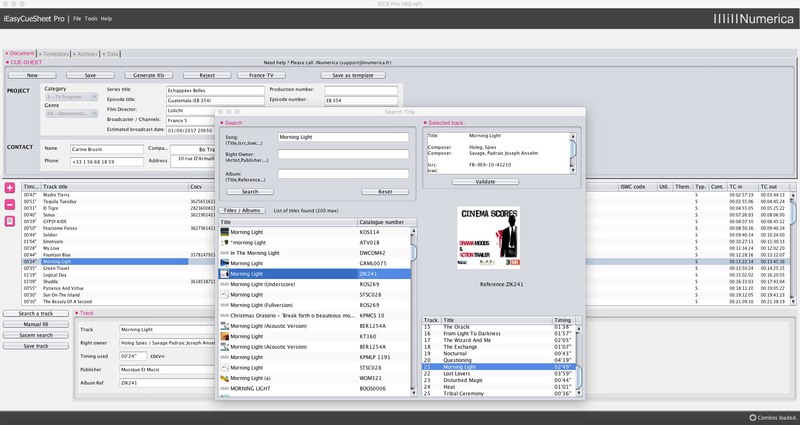 Automatic insertion of copyright in cue sheet form. Search by title, composer, arranger, publisher or support reference “Production Music”. 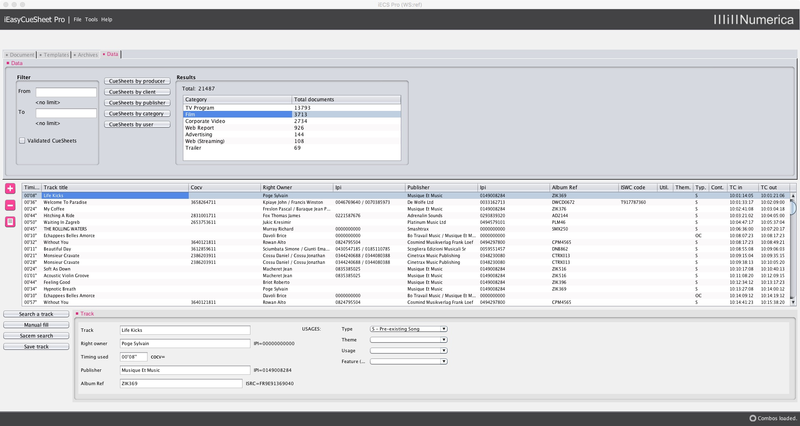 Each cue sheet generated by your end-users or yourself, is kept in your records for billing and/or verification. 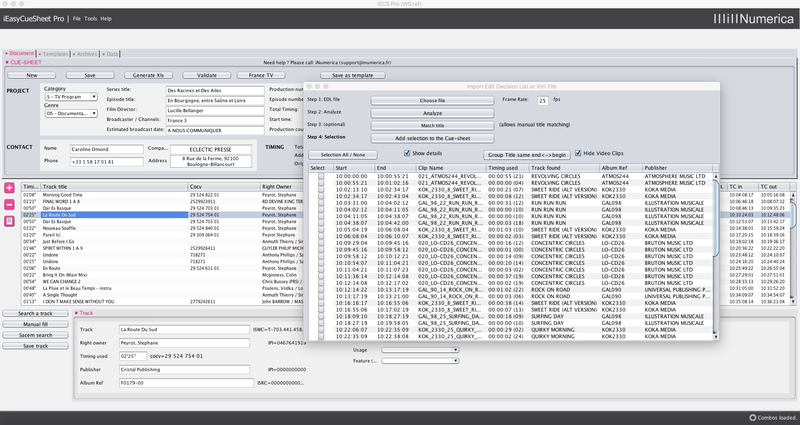 Control your cue sheets before production validates them for broadcasting. Send copyright corrections to users. Receive email and SMS alerts (optional) each time a cue sheet is composed with your work. iEasyCueSheet is developed in Java and is available for Apple Mac OS X, Microsoft Windows XP or later versions.